The Netherlands is an attractive place to live and work. Irish citizens don’t have to worry about much red tape to relocate. You do need to report to the immigration police and register with the local authority in your new town, but as an EU citizen, you have a legal right to work and housing in the Netherlands. To do so, you’ll need to find a place to live and that is not always simple. Most people rent when they arrive in new country. It is wise not to commit to more than a year until you have actually lived there and feel confident that you want to remain longer. Students and people on a work contract for a finite amount of time have some obvious reasons for renting. Many Dutch people rent their homes. Nearly half of the Dutch population lives in private rented or social housing. That means the rental market can be difficult. It’s also very different from the Irish rental market. 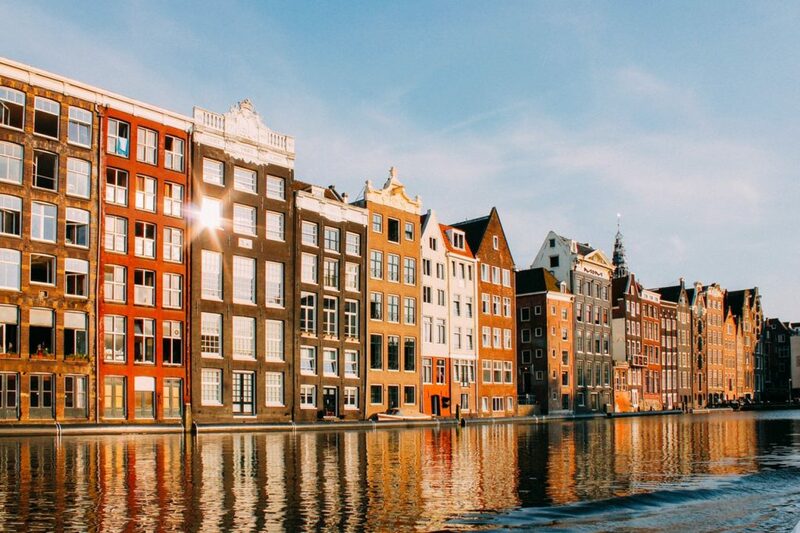 Whether you are moving to Amsterdam, Rotterdam, Utrecht or a smaller village, you need to know some basics before you start packing your belongings and shipping from Dublin. Unlike in Ireland, most Dutch rentals are very bare bones. While here most rental units are fully furnished, in the Netherlands there are three main categories. Kaal – These are totally bare. No furniture, rugs or carpets, light fixtures or anything. The bathrooms will have fixtures. Kitchens will have a sink and perhaps a cooker. Don’t expect a refrigerator or washing machine, but occasionally these are included. Gestoffeerd – This is the next step up, and much easier for a newcomer to the country. ‘Gestoffeerd’ literally means ‘padded’. These properties are unfurnished, but do include carpets, curtains, light fixtures, and kitchen appliances. Gemeubileerd – If you really want a place that is ready to live in, this is it. Gemeubileerd homes are fully furnished. With this option, you don’t have to include furniture in your shipping from Dublin. The level of furnishing explains a lot of the price differences you will see in Dutch housing rental ads. Most people don’t look in the small ads for a rental in the Netherlands. The normal thing is to hire a rental agent. The fee will be steep, perhaps a month’s rent, but given the challenges of renting in the Netherlands, it is usually worth it to get what you want and avoid being scammed. You could go buy all new furniture in the Netherlands, but it is generally better value to ship your personal belongings rather than replace them. You can time your shipping from Dublin so things arrive just when you need them. Shipping your bed, table and chairs, sofa and other furnishings also helps you feel at home as you grapple with homesickness and culture shock. Yout furniture isn’t the only thing to ship. Don’t forget your bike! If you really want to get in the swing of things, you will want your bike to commute to school or work, to socialize and to enjoy the gorgeous (and mercifully flat) Dutch countryside.